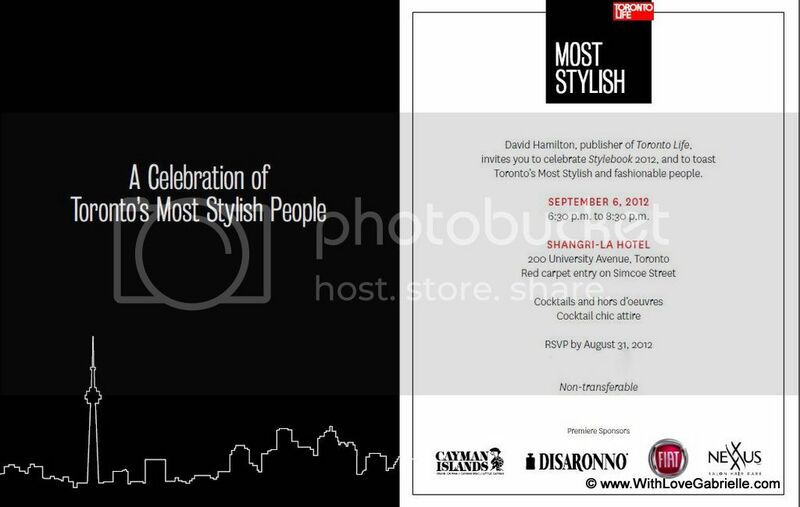 Toronto International Film Festival ("TIFF") kicks-off on Thursday, September 6th, with more than 300 movies showing and a plethora of Hollywood A-list celebrities attending swanky premieres and parties. So if you're a star-gazer, I thought to publish this "best of" list of parties happening in Toronto this coming week, which for the most part are TIFF-related. 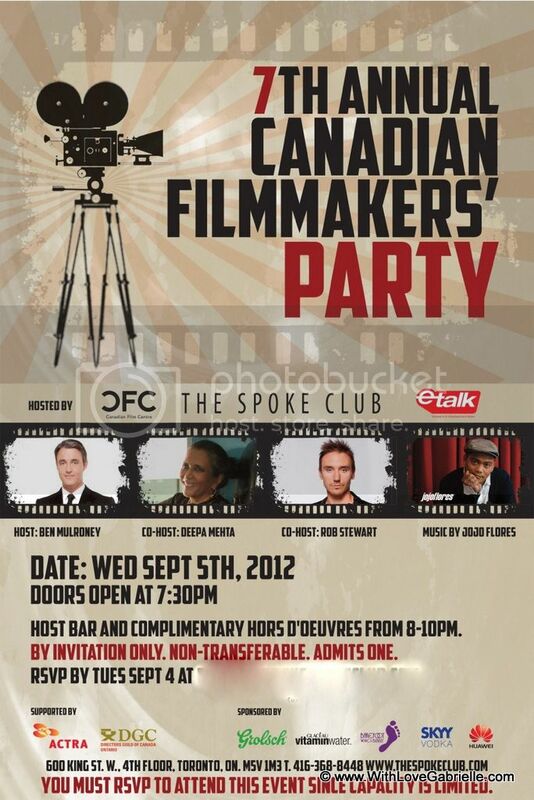 First on the list is the annual Canadian Filmmakers' Party on the rooftop patio at The Spoke Club on Wednesday, September 5th. 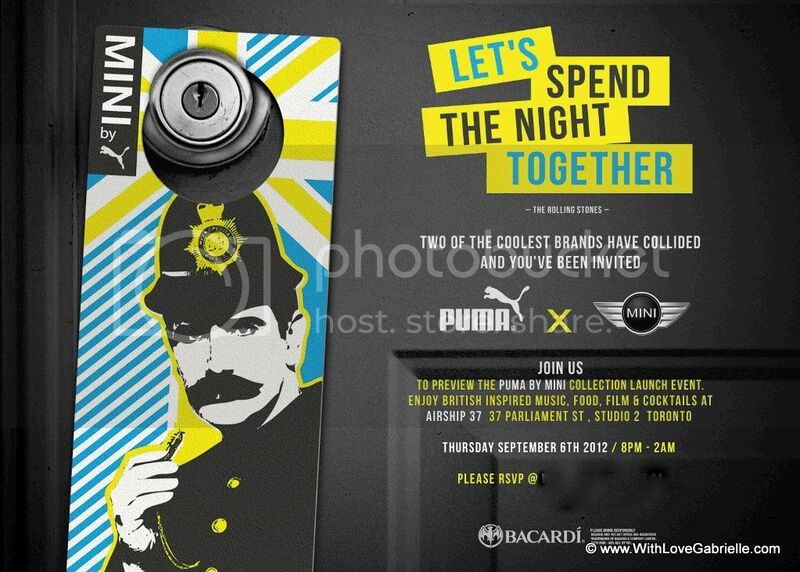 Spoke Club is a private members club at 600 King Street West, and this one is an open-bar party hosted by the Canadian Film Centre and etalk TV show host Ben Mulroney. Four Seasons in Yorkville tops the list for special events on Saturday, September hosting their 28th annual George Christy Cocktail Reception from noon to 1:30 pm. 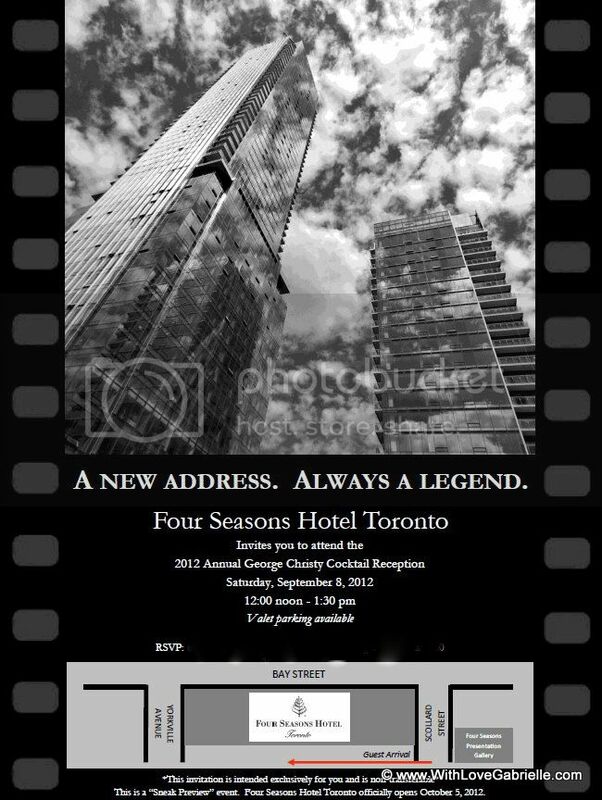 Four Seasons new Yorkville property doesn't officially open until October 5th, so this is one of the most sought-after invitations for those curious to have a sneak-peek at the iconic new hotel - and to be sure an A-list crowd of Hollywood celebrities will be in attendance. It's back to The Spoke Club on the night of Saturday, September 8th as Nikki Beach - a world famous global events brand (think parties in glamorous places like St. Tropez and Miami Beach) - takes over The Spoke Club as it's satellite headquarters for TIFF events. No rest for the wicked, since Sunday afternoon (September 9th) upscale Canadian jewelry brand Birks is hosting a Champagne Rendez-Vous from 3-5 pm again back at Shangri-La, which will celebrate Canadian women in the film industry. What's on your TIFF agenda?